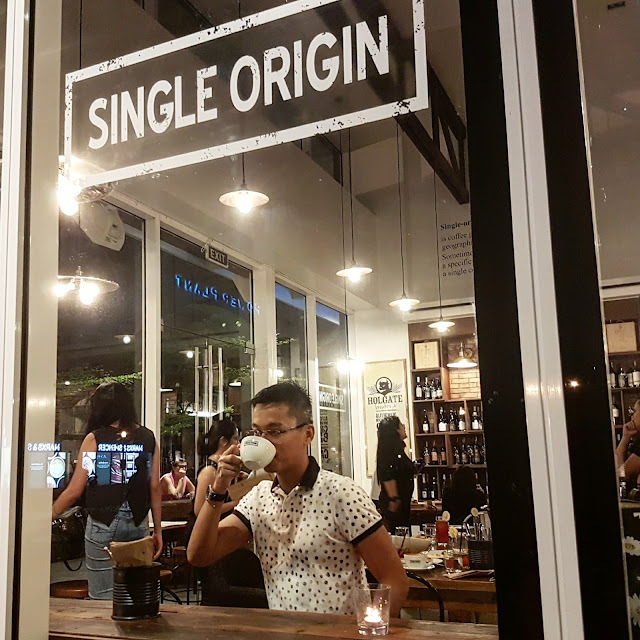 Glad to visit the newest branch of Single Origin located at the Ground Floor of Edades Garden, Amorsolo Corner Rockwell Drive, Rockwell, Makati City after opening its very promising and successful branch in BGC, Taguig. 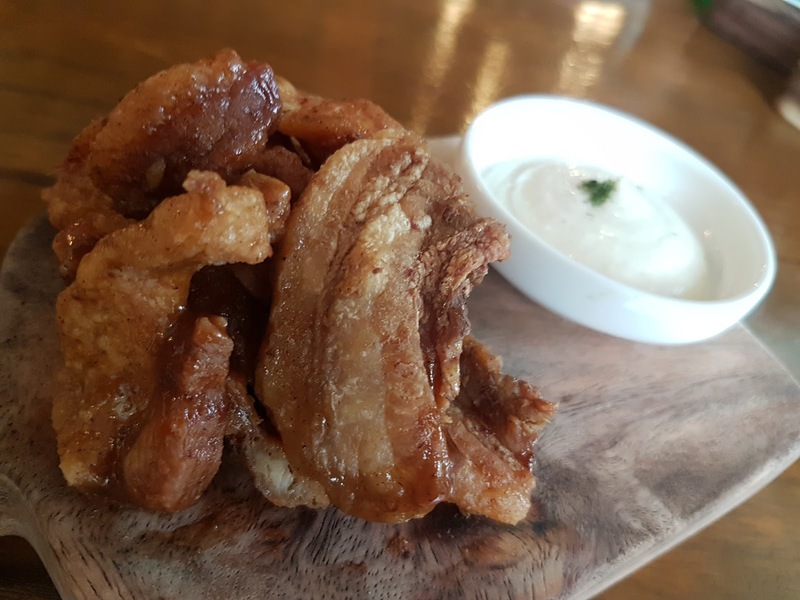 Single Origin boasts its wide range of delectable dishes, Lamill coffee and tea selections as well as their alcoholic beverages that soothes everyone's personalities. This place is not intimidating at all as pieces of bricks, woods and industrial lights make the ambiance more welcoming. It's like a haven for a comfortable hang out place with friends, colleagues or even an intimate dining experience with family. The music playing on the background compliments the modern rustic interior design which I really like. The service is really highly commendable as servers are proactive, clean, well versed and pleasant. Apart from good food and ambiance, having a great service means a lot for someone who's looking for a 360 experience. 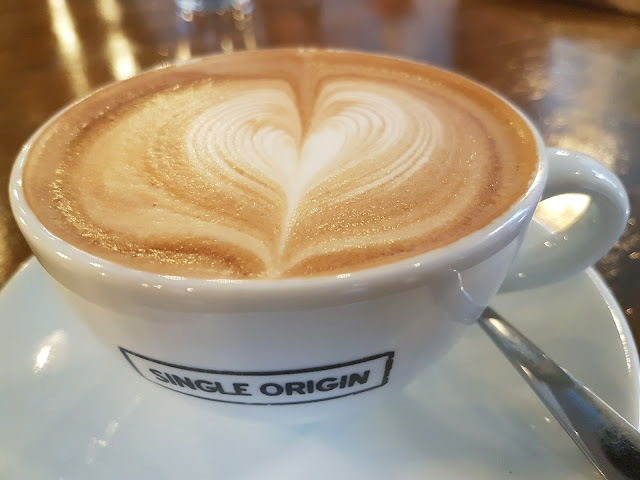 Having said that, Single Origin didn't disappoint. 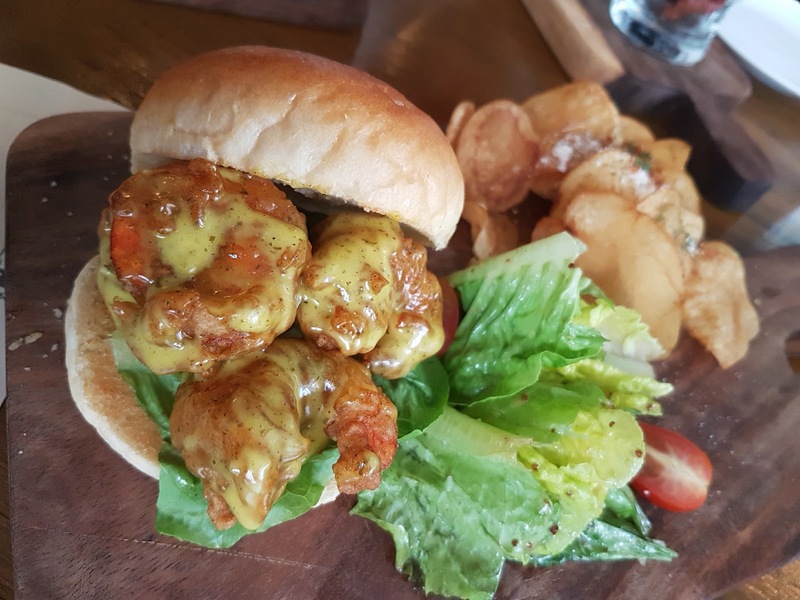 In terms of the food, everything that has been served really strike a balance between sinful, sinfully good and really really good! 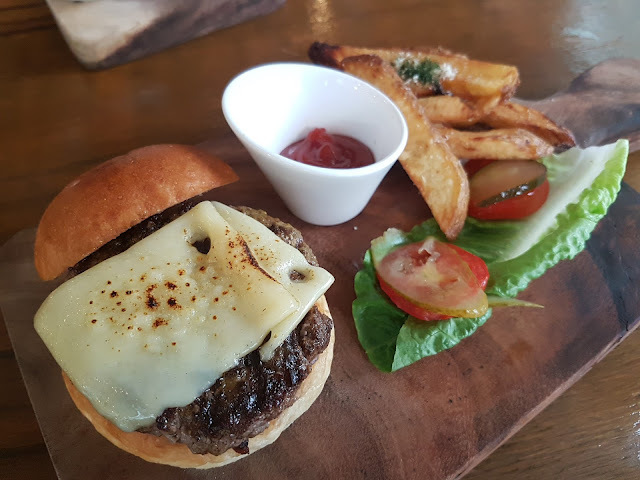 What's special about this burger is the pattie which is made out of wagyu beef. 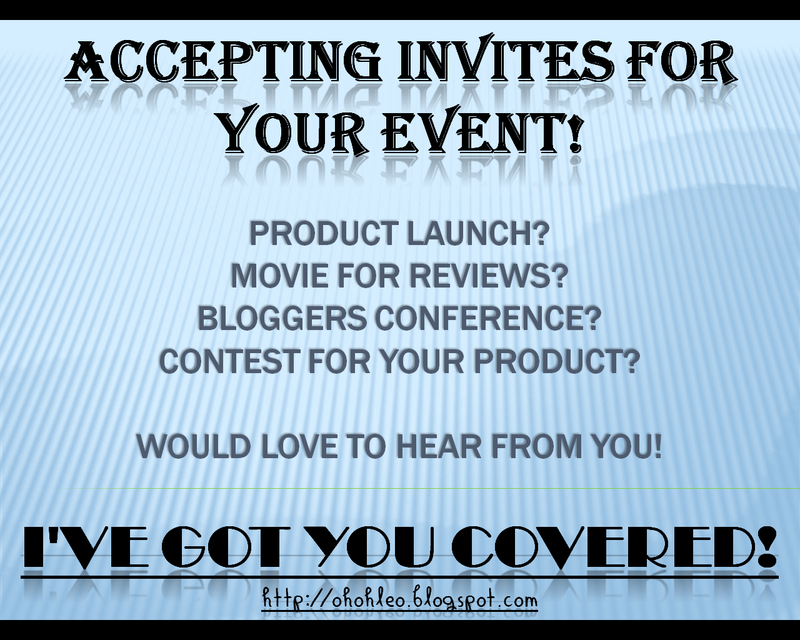 You have the liberty to request how you want it to be (rare. medium rare, well done). Served with greens, tomato, pickles and truffle fries. Sinfully good! 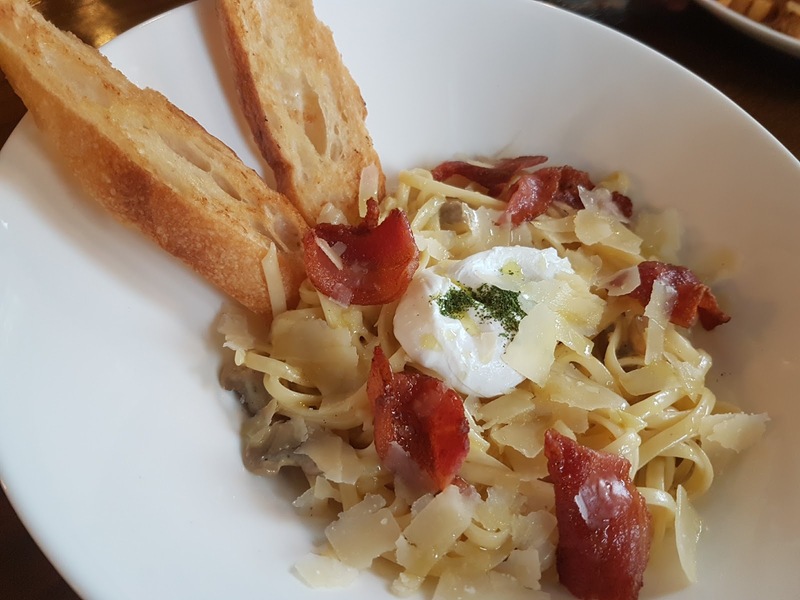 The aroma coming from the truffle oil compliments the freshness of the mushroom that has been put into this dish. The poached egg added more texture. Really awesome! This slow cooked braised beef has this melts-in-your-mouth experience. It has been slow cooked for about 4 to 5 hours which explains how tender it was. 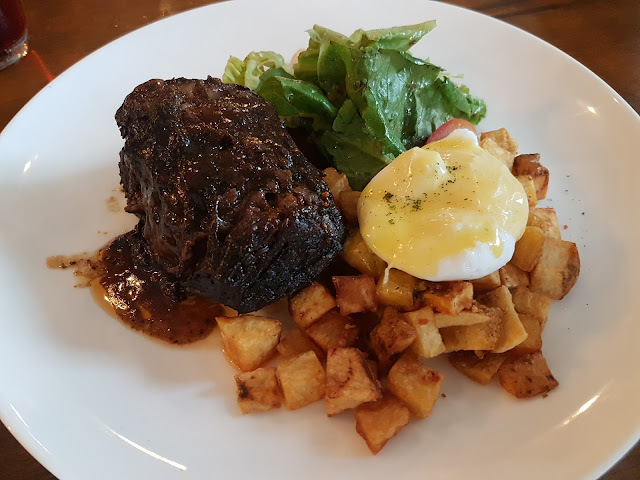 Served with poached egg, hoilandaise sauce and garlic potato hash, this one is definitely a must not miss! This is their version of Churros. No one can go wrong with BACON! 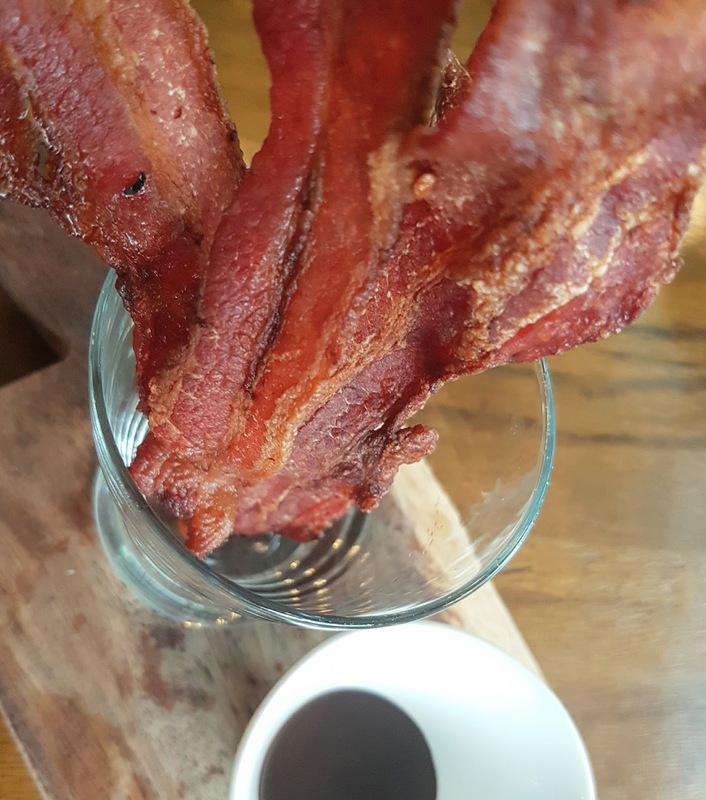 Having the dark chocolate dip compliments the slightly sweet and saltiness of the mapplewood-bacon. Cool innovation. Single Origin creates their own Brioche which is very tasty on it's own. 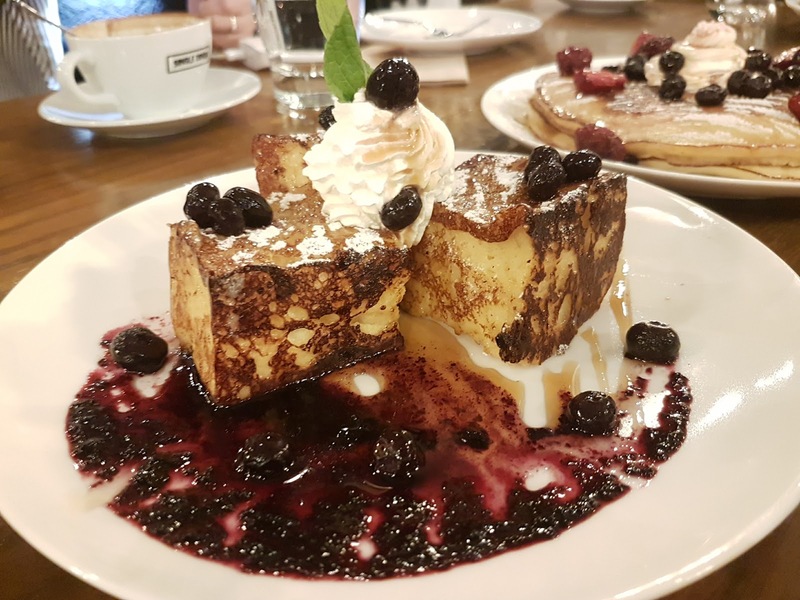 Imagine how more delicious it is when used as a base for a french toast! This dish is topped with blueberries, whipped cream and Vermont maple syrup. 1. 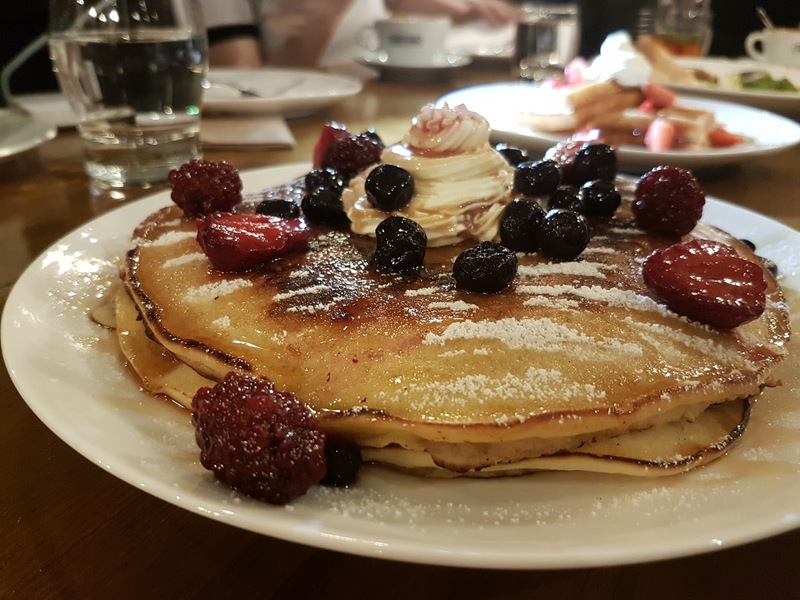 Order pancake/waffle plates during your visit every Mondays and Tuesdays and enjoy a free pour-over coffee from 7am to 6pm. 2. Take advantage of the Happy Hour from 4pm to 8pm and enjoy 25% off from a wide selection of imported beers, mixes, and wines. Mixed Berry PancakesTopped with Raspberry, Blackberry, and Blueberry with whipped cream and Vermont maple syrup. 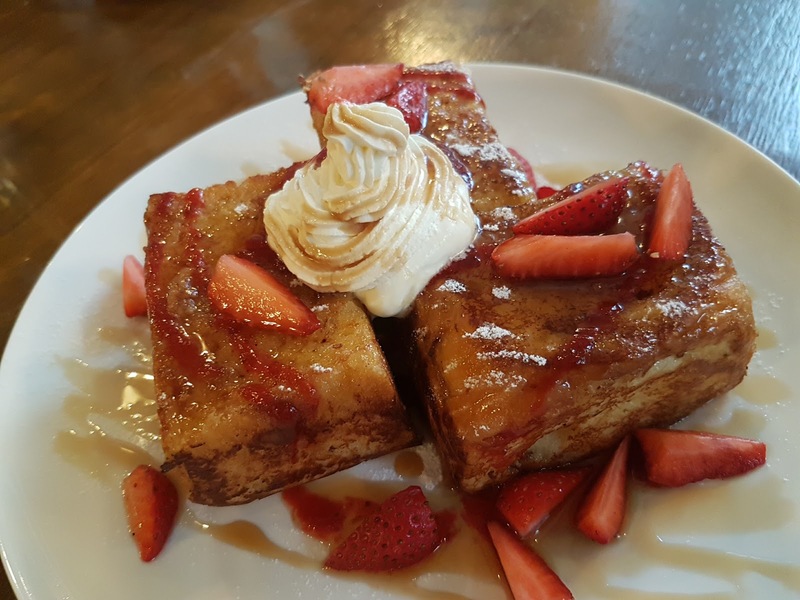 Three cubes of in house baked Brioche topped with fresh strawberry slices, whipped cream cheese and Vermont maple syrup. Shrimp Po Boy Deep fried shrimp tossed in honey mayo dressing on bread with truffle potato chips and greens on the side. Homemade corned beef with creamy scrambled eggs served with toasted white bread. 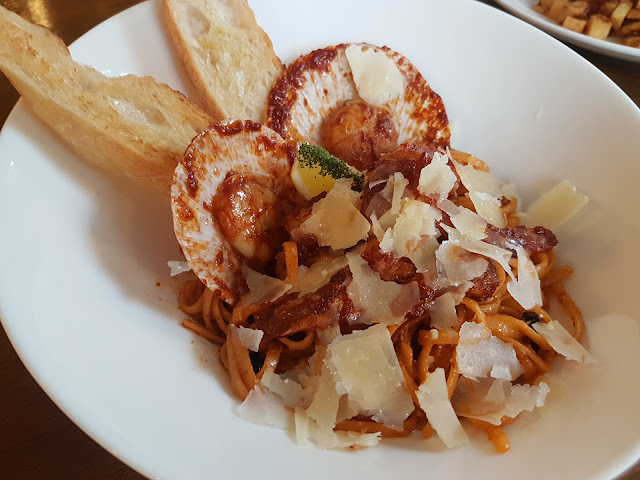 Crabfat pasta and sauteed seafoods served with toasted bread. BBQ glazed crispy pork with garlic aioli. 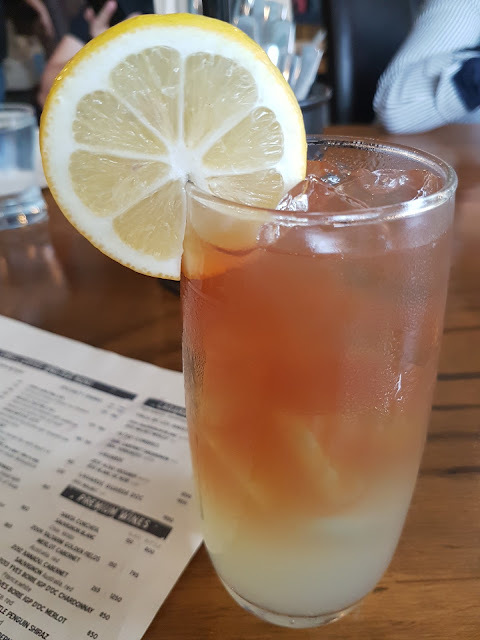 Mr. Woods this drink is made out of freshly squeezed lemonade layered with organic passion berry black iced tea. Cafe Latte made from espresso shots of Bliss Coffee with textured milk and topped with some foamy art. Over all, the Single Origin experience is awesome as it is! I will definitely go back to try their other dishes as well as other coffee and spirits. I hope to visit also the branch located in BGC to check the if the ambiance is great as well as the service. Gulp. I guess I have to list that one here. 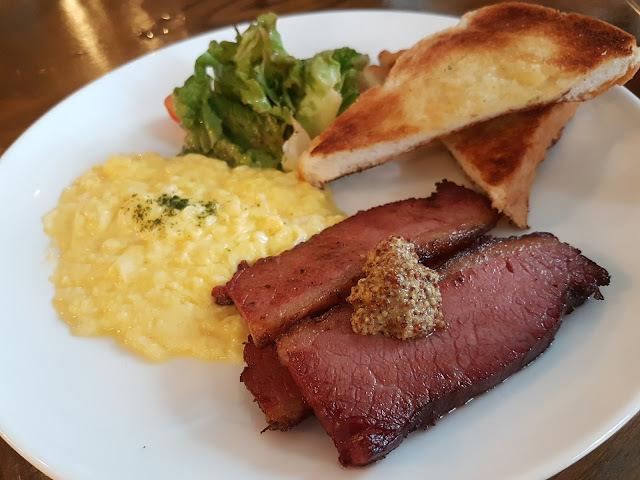 Those bacon basket and classic corned beef made me hungry as I read this. LOL!